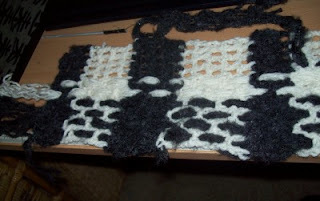 I've seen the plaid used in an afghan and loved it, so I thought I'd play around with it on a smaller level, such as the neck warmer, the only thing is, that you don't have much room for the utmost effect of the plaid. 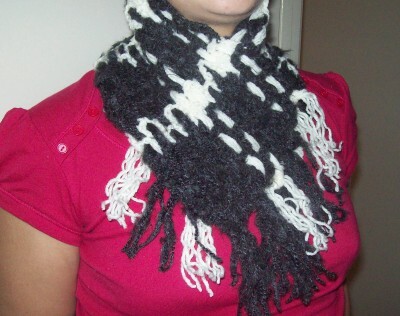 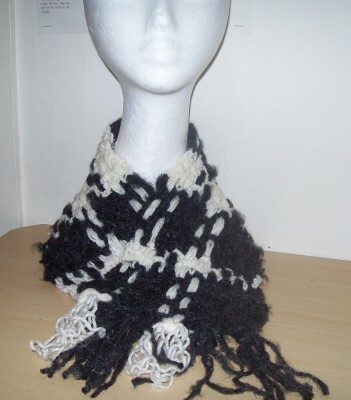 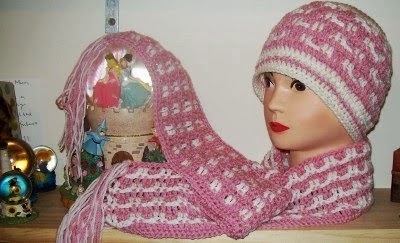 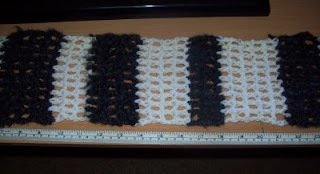 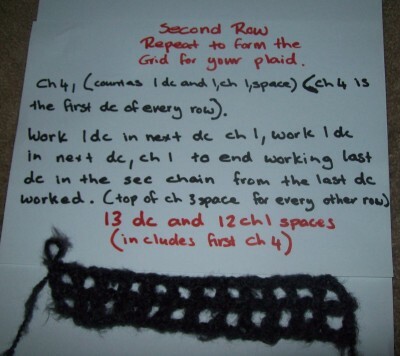 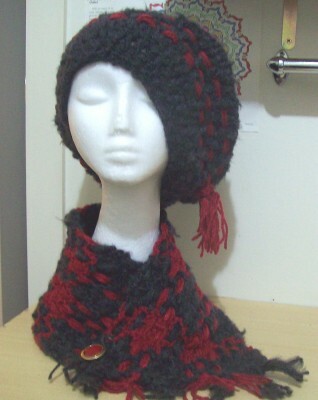 This is the simple formula I used for my neck warmer. 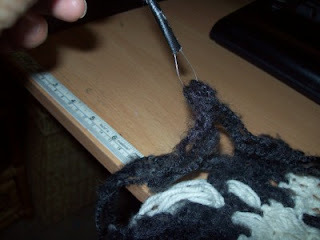 The tool I used for easy weaving, a crochet hook, some fishing line and some gaffa tape to secure it. The eye of my so called weaving tool, carry's many strands of yarn at once. 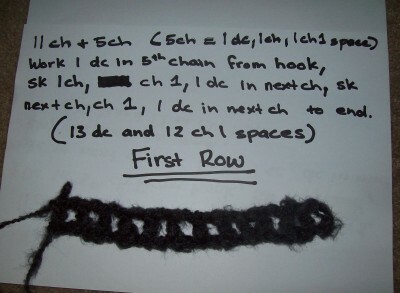 This is secured to the bottom of my crochet hook.